On September 28th, NGOs, governments, and people from all over the world will unite to on World Rabies Day to spread awareness about the dangers of the disease, and how it can be stopped.The event, put on by the Global Alliance for Rabies Control (GARC), seeks to educate the public about how rabies can be eradicated in people and domestic animals if we take the appropriate steps. Around the world, dogs are the most common animal affected by rabies, with more than 99 percent of human cases coming from dog bites. GARC sponsors the event not only to raise awareness for one day, but with the hope that communities can put measures in place to help control the spread of rabies all year round. GARC hosts dozens of events around the world, from South Africa to Afghanistan, where you can learn more about how to control rabies. The group is also circulating a pledge that people can sign to fight for the Zero by 30 cause. Other ways to get involved include organizing an event for yourself, or nominating a champion for a World Rabies Day award. There are several steps that must be taken in a number of different situations regarding rabies. Make sure you know what to do if your pet bites another person, if another person’s pet bites you, or if your pet is bitten by another pet. In any of these cases, there are specific ways doctors and veterinarians must handle the situation, so do your part to know as well. When we think of rabies, we typically think of crazed dogs, humans, squirrels, and skunks, foaming at the mouth like zombies. Remember that these are symptoms of a deadly virus, and shouldn’t be taken lightly. So instead of seeing rabies as the plot of a horror movie, we may need to shift our thinking if we’re going to eliminate it. GARC has set an ambitious but admirable goal for rabies: Zero by 30. That is to say, by putting the right measures in place, the world could see zero human death of rabies caused by dog bites by the year 2030. This resolution was agreed upon in 2015 among a group of organizations including the World Health Organization, World Organisation for Animal Health, UN Food and Agriculture Organization and GARC. Every year, more than 60,000 people around the world die from rabies infection. Considering the World Health Organization deems rabies a 100 percent preventable disease, it’s now up to communities, NGOs and governments around the world to come together to put the measures in place that will stop these unnecessary deaths. By knowing how to prevent pets from getting rabies, anyone can do their part to put an end to the virus. 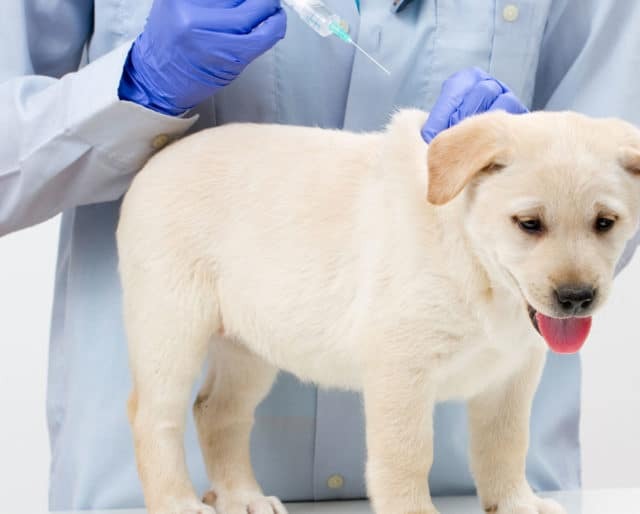 World Rabies Day seeks to highlight local and state laws that help control spread of the disease, and also hosts events for vaccinating puppies under 12 months of age. Knowing about rabies is the first step to eradicating it among people and our pets.